The ChiaoGoo Yarn Butler holds your yarn cake and spins freely as you knit or crochet. They are made from wood and the shaft is detachable. Easily holds 2-3 cakes for colorwork! 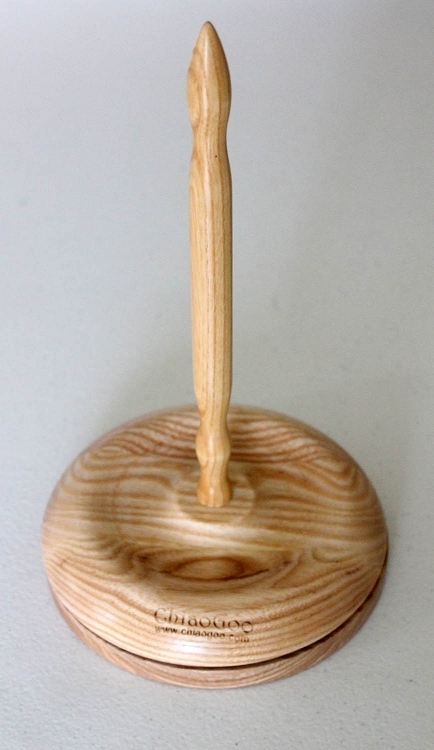 Q: How long is the spindle? It is approximately 8-1/2 inches long. 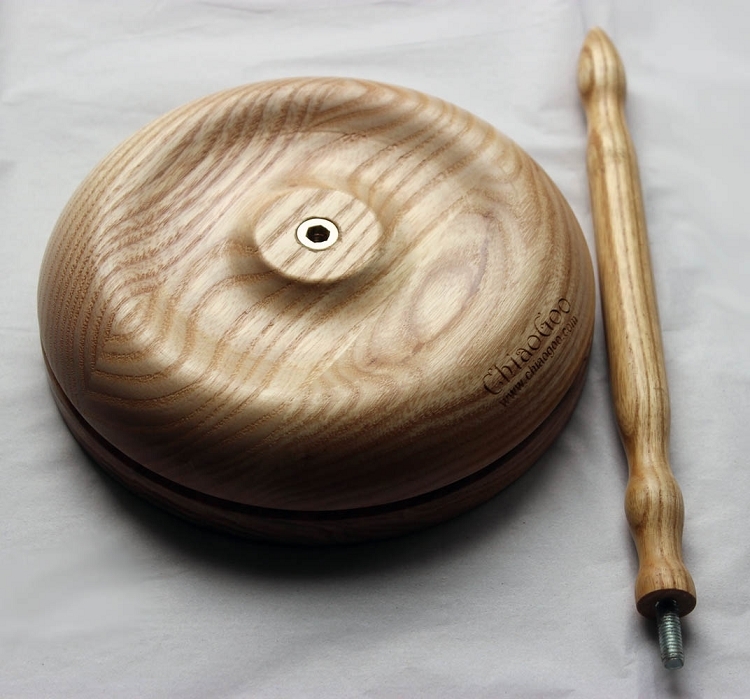 Q: Is it possible to order additional arms/spindle for use with multiple projects? 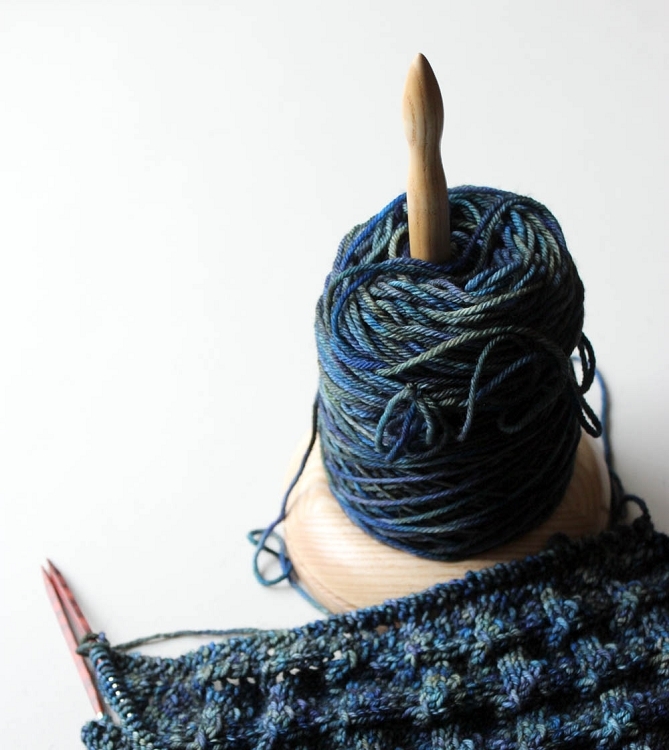 Would like to leave yarn on the arm and just switch arms when switching projects. I'm sorry, at this time extra spindles are not manufactured by ChiaoGoo. Q: Does the yarn butler base turn on bearings? Yes, the base turns on bearings.